Acio ovulation calender is an easy-to-use precise ovulation calculator of woman cycles,firtility, ovulations. It can help you to achieve or avoid or achieve conception, or even enhance gender prediction. Acio ovulation calendar helps you use a natural contraception method. It shows you the fertile days, days of ovulation and predicts your baby s gender. The results are presented as a color-coded menstrual calculator. Want to conceive a baby? You you have most chances to conceive during the ovulation, so if you know the date of ovulation, this will help to determine the best days to conceive. Menstrual calendar shows the probability of getting pregnant based on your ovulation date and other factors such as the life span of the egg and sperm. Want to avoid pregnancy? The menstrual calender can be a great tool for those in monogamous relationships who want to avoid pregnancy. It s a natural, hormone-free birth control method that does not require remembering to take a pill every day. And it allows for freedom to change your mind at any time should you decide the time is right to start a family. Want to choose the gender of your baby? Acio ovulation calendar helps you find the perfect time for conception, increasing your chances of conceiving a boy or a girl. 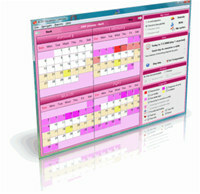 ACIO Ovulation Calendar is a health program that works under windows xp, windows vista and windows 7. It supports both 32-bit & 64-bit windows editions, therefore it could run faster on 64-bit computers. Estimated download time for ACIO Ovulation Calendar on a common adsl connection is less than a minute. 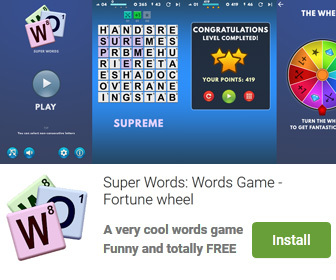 Version 2.7.12.67 was released two thousand four hundred ninety four days ago by SoftOrbits. Click the green download button to download it now.